Do you remember Jonnique Lawrence? Jonnique Lawrence graduated in 2009 and was inducted into the Hall of Fame in 2019. 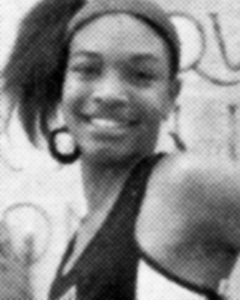 Jonnique Lawrence, 2009: Jonnique was a sprinter for the Lady Tigers track team. She was an integral member of the 2009 relay team, which currently holds four Cincinnati high school area records in the 4x100m, 4x200m, 4x400m and 800m sprint medley. She is a four time All American, three-year varsity letter winner, three-time Division I Cincinnati All Star, three-time All Conference, three-time All District, threetime All Region, three-time All State, and one-time team State runner-up. She placed in the Nike Outdoor Nationals in 2008 and 2009 in the 800m sprint medley, 4x100m, 4x200m and 4x400m. She was named the CMAC League Most Outstanding Runner in 2008 and 2009. Jonnique continued her track success at the University of Pittsburgh. In 2013 she was the Big East Indoor Track and Field women’s 200m dash champion. She placed third in the 60m dash, and in Outdoor Track and Field, she placed second in the 200m dash. That year she was also a Big East Scholar Athlete award recipient, a USTFCCA All Academic recipient, and a part of the Scholar Athlete All Academic Team. She is the University of Pittsburgh’s current record holder in the indoor 300m dash, 4x200m relay, and 4x400m relay, and in the outdoor 4x200m relay.